Blagdon nursery provides an outstanding education for its students. 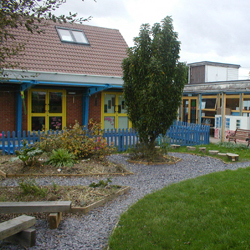 Blagdon nursery school has been judged outstanding in all areas in its most recent OFSTED report conducted in October. The school scored top marks in leadership and management, Pupil behaviour, quality of teaching and achievement of pupils. Some key quotes from the report include “Children make rapid progress in all areas of learning” and “children are excited and motivated by stimulating and interesting learning materials”. Ward Councillor’s Ashley, Paul and Eileen would like to pass on huge thanks to Head teacher Sarah Mitchell and all staff at the school for their hard work and continued success. This entry was posted in Ward School News on November 18, 2014 by Ashley Pearce.